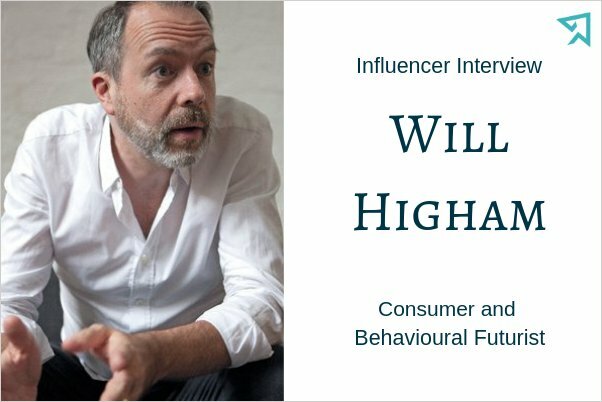 Will Higham is one of the world’s most respected behavioural futurists. He has informed 1000’s of business leaders via his talks, consultancy, articles and book ‘The Next Big Thing’. He’s spent almost 30,000 hours over the last 15 years analysing consumer trends and their implications for business. In this interview, we talk to Will about the consumer trends he thinks will have the greatest influence on the way we use our homes in the future. TM. How has the trend for multi-generational living come about? WH. One of the big trends we’ve seen over the past few years has been towards one-person homes, however, while the drive towards the single home is still happening among older people, we’re now starting to see a reaction against it towards larger households. For financial reasons, and also for social and emotional reasons, young people are not leaving the family as early as previous generations did, and they are content to stay at home. There are broadly closer ties between parents and children now, and they are typically doing more together – more family holidays, more evening and weekend meals. In the same way that businesses have flatter hierarchies, so do families – more and more the parents and children are making joint decisions. Millennials and post-millennials have grown up in a risk-averse society, with lots of people telling them they’re in danger all the time, so they have this sense of friends and family being an important community. There’s three times as many 25 to 34 year olds living with their parents as living on their own right now. The other thing is that while some elderly people are living on their own, more of them are starting to move back to their children’s homes, for financial reasons and because of health issues. People are living longer so there’s a longer period of care required, and for a lot of them, their savings aren’t going as far as they thought they would. TM. What impact do you think this trend will have on kitchens and bathrooms? WH. This has huge potential impact on kitchens and bathrooms. You need to have more bathrooms if you’ve got more people in a home, but also the bathroom needs to be functional for all three generations. They need to be safe, with more rails, as well as offer an escape for people to get away from the big household. This trend is also going to accelerate the kitchen diner and kitchen as a social place. There’ll be things in the kitchen that people won’t use as much as they become less well, and things such as microwaves that they may use more. Kitchens may become even bigger. 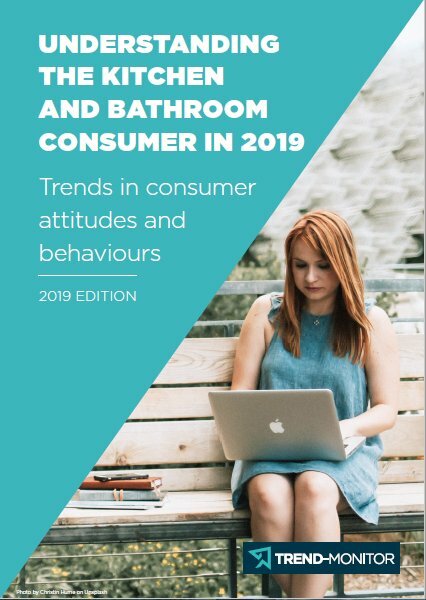 And one thing that bathroom and kitchen manufacturers need to focus on is the fact that we will see a huge growth in care homes. That’s a major market for them to bear in mind. TM. How is ‘Generation Rent’ impacting the way people use their homes? WH. The younger generation can’t afford to buy houses at the moment, and they’re having to rent, but one of the biggest rises we’ve seen in rental is amongst older consumers – a 500% increase in thirty-to-forty-something renters over the past five years. The sense of the importance of ownership itself is starting ease away. This is a generation that grew up with constantly upgrading their mobile phone, and now you can rent things, download things, subscribe to them – I can access a car but I don’t need to own one. So when it comes to our homes, are we going to go back to this idea of renting our furniture and our TVs, and are manufacturers and retailers going to offer us opportunities to rent and upgrade things? Or are we going to be able to get a basic fridge, but then get a smart device we can plug into it? TM. How do you see technology impacting on kitchens and bathrooms? WH. We’re on the cusp of huge changes with the technology side of kitchens and bathrooms, and if manufacturers get it right, I see people adopting it very quickly. I think the smart home will really start to take off in the next five years. The trouble with the smart home is that the technology has been a little bit behind the ideas. I think we’ll see more intuitive and ‘calm’ technology, that isn’t in your face and will do things without us asking it to. It’s interesting to see the incredible rise of voice assistants like Alexa, which is easy to operate and feels human. We will definitely see more voice control in kitchens and bathrooms, partly for convenience and also for safety. They’re places where it’s difficult to use traditional personal technology. And the smart mirror in the bathroom is the equivalent of the smart surface in the kitchen for me. Being able to weigh things on the kitchen surface is one thing, but the smart mirror will be able to tell you about your BMI, your health, and so on. TM. How is hybrid living affecting the home? WH. Britons are now spending 90% of our lives indoors, whether it’s at home or in the office. More and more of us are working for ourselves, and the number of entrepreneurs is going up, particularly among slightly older women. Increasingly we want to run our own thing, so the two growth areas are the shared office and the home work-space. The hybrid home is interesting as we’re seeing a general hybridisation of the home. We have a kitchen diner that looks increasingly like another living room, and furniture and technology that can be moved from room to room. As our lives flow through the house we can make the house whatever we want, whenever we want it. TM. Tell us about the trend for pet ownership? WH. The idea of family, neighbours, work colleagues, people we share a hobby or an interest with – the one thing that’s increasingly added to these small trust groups is a pet. A lot of people who aren’t having families are having pets – ‘fur babies’ – and the amount of money we’re spending on them is phenomenal. We’re spending more in terms of the type of food we’re buying for them, the type of habitats we’re creating for them. It certainly affects the kind of holidays we can have – there are now more pet-friendly hotels and restaurants. And in the same way that people think about a child when they’re fitting their bathroom and their kitchen, they will be thinking about their pets when they’re doing that. TM. Are there any behaviours that will affect how we buy big-ticket items in the future? WH. We’re seeing the idea of the ‘signature’ piece across so many industries. The small specialist artisanal producers at one end and the mass on the other – those are the areas that are working, and the area in the middle isn’t working so well. I think this will happen more within homeware – there will be a few statement pieces, and there will be a higher turnover of the little items we only have for a short time, like stools or tables. Generally, I think we’ll have more sustainable furniture, as consumers are starting to be willing to pay a little bit more for something that’s sustainable. In terms of technology-led items like cookers, fridges and showers, it may be that we buy ‘dumb’ products that we can upgrade the software on, like the little stick we have that we can put in the side of the TV. We will definitely see big-ticket items becoming smarter.